Gauri Khan, Jacqueline Fernandez Arrive for DJ Snake's Holi Party In Mumbai - See Pics! Gauri Khana and Jacqueline snapped at DJ Snake Holi Party venue. Shah Rukh Khan's wife Gauri Khan and actress Jacqueline Fernandez have been the early ones to have arrived for the special Holi bash featuring famed DJ Snake of Taki Taki fame. The event is being held at BKC in Mumbai. DJ Snake was snapped by the paparazzi yesterday whilst he reached Mumbai airport ahead of his event today. The music producer even met Karan Johar and Varun Dhawan at the Dharma Productions office, sparking off rumors of a collaboration for a song. Jacqueline Fernandez arrives for DJ Snake's Holi Party. 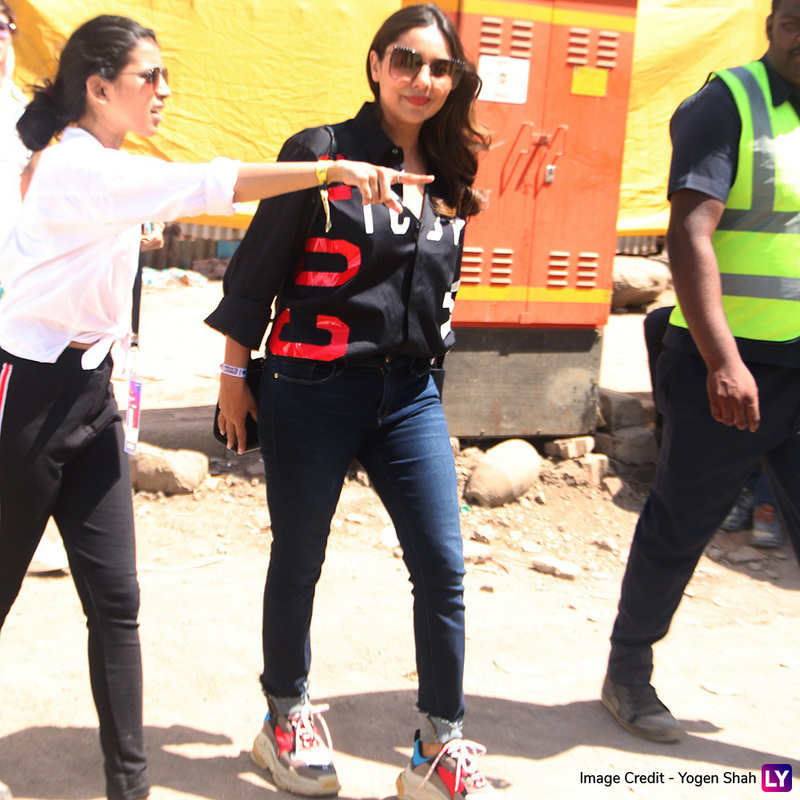 Gauri Khan too was spotted arriving at the Holi bash venue. She chose to sport a casual look with denims and a Black shirt. We wonder if Shah Rukh too will be accompanying her later for this event. This is not the first time that DJ Snake has come to India, previously the French composer had said, "India is a special place to me. I filmed my video for Magenta Riddim here. It has a special place in my heart. The fans, culture, music — I love everything about the country. My fans in India are so loyal. "Holi 2019: Inaaya Naumi Kemmu, Kriti Sanon, Vicky Kaushal's Colourful Instagram Pictures Perfectly Define The Festive Spirit of the Day! We are expecting more celebrities to start turning up for this Holi bash and we may have to wait for a little while before we get to see some inside pictures from this Holi event!